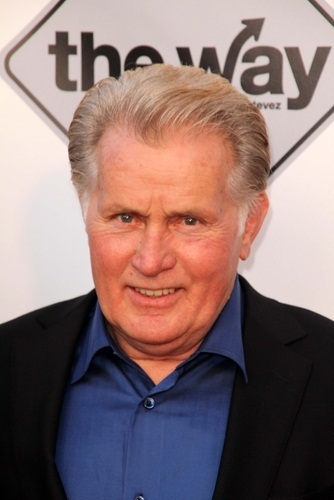 Martin Sheen is an American actor. His birth name is Ramón Gerardo Antonio Estévez. His father, Francisco Estévez Martinez, was Spanish, born in Parderrubias, Salceda de Caselas, Galicia. His mother, Mary Anne (Phelan), was Irish. Martin has Irish citizenship. He adopted his stage name Sheen in honor of a Catholic archbishop named Fulton J. Sheen. With his wife, actress and producer Janet Templeton, he has four children, actors Emilio Estévez, Ramón Estevez, Charlie Sheen, and Renée Estevez. Martin has Irish citizenship. Martin’s paternal grandfather was Jose Manuel N. Estévez Fernandez (the son of Augustín Estévez Martinez and Maria/Maita/Marta Fernandez Baquíero/Baquero). Jose was born in Parderrubias, Galicia. Augustín was the son of Jose Manuel Estévez and Maria Rosa Martínez. Martin’s paternal grandmother was Dolores Martinez (the daughter of Carmen Martinez). Dolores was born in Parderrubias, Galicia. Carmen was the daughter of Francisca Martínez Suárez. Martin’s maternal grandfather was Michael James Phelan (the son of Patrick Phelan and Margaret Drennan). Michael was born in Waterford, County Waterford. Martin’s maternal grandmother was Anna/Anne Jane McGlin (the daughter of John McGlin and Jane Rogers). He has stated to be “extremely proud” to be Galician. His father was from Parderrubias, Salceda de Caselas, Galicia, Spain. He’s got Irish citizenship and has been there many times. The article below is tongue-in-cheek but he is very popular there. His mother Janet Phelan, I believe was her name, died when he was 11. His paternal grandmother was named Dolores, I believe. his mother was born in Ireland as his father was born in spain…both immigrants..